Masaai women are responsible for building mud houses for their family to live in as well as supplying water, collecting firewood, milking cattle and cooking for the family. Domestically women can only marry once in a lifetime, although men may have many wives at the same time. Girls are married off early, sometimes as young as seven years old. If a young girl becomes a widow at an early age even in her teen years; culturally she has to remain as a widow for the rest of her life. Canaan Ministries helps to organize Masaai women including widows into small cooperatives for the purpose of strengthening their existing micro-business enterprise of making beaded jewelry. 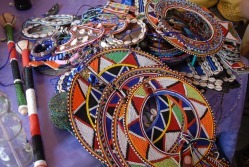 The proceeds from the sale of their bead work through Canaan Ministries Masaai Women's Project are often the only means of income for the women aside from the small quantity of milk they may sell from their cows. Proceeds from the sale of jewelry are used to provide daily food. It is often the main source of income for the women who make handcrafted jewelry. Proceeds are also used to pay school fees for the education of girls who have historically been deprived of education and given into forced early marriages often to very elderly men. Join us in providing a Godly legacy for future generations. 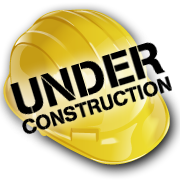 Please consider contributing to the construction of our Kenya Mission Station and Ministry Training Center. This project will be used as a training facility for church pastors and elders, to train women and youth in marketable business skills, and provide guest and student housing for those attending our bible training classes. This center will also serve as a place to conduct small seminars and conferences. We invite everyone to participate in helping us build by giving any financial gift of your choosing. However; you may also want to consider leaving a "living legacy" in your own name, the name of your church or your loved one by committing to pay the entire cost of constructing one cottage to honor someone you love. For those who commit to building an entire cottage; that particular cottage will bear your name, or the name of your church, or the name of your loved one. The estimated construction cost per cottage is $16,000 USD. Donations are tax deductible according to IRS regulations.